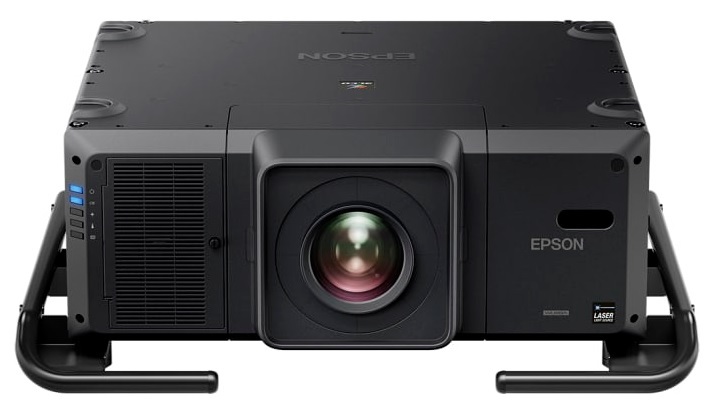 Epson unveils the EB-L25000U Laser Projector which is the world’s first 3LCD laser projector with 25,000 Lumens of color and white brightness for superb image quality even in outdoor or large venues. The Epson EB-L25000U is equipped with a laser light source for high contrast, this projector will continuously work for 20,000 hours straight before the brightness starts to decrease. The secret is in the LCD panels and the phosphor wheel which is comprised of heat-resistant materials. Perfect for rentals and big stages, the versatile EB-L25000U can be tilted or rotated for 360 degrees in all directions. 4K is also OK with this Epson Projector as it has 4K-Ready lenses and 4K Enhancement Technology which shifts every pixel by 0.5 to achieve Ultra HD 4K resolution. It also is compatible with a number of inputs such as HDBaseT, Creston RoomView and Art-Net to name a few. The ingenuity of the Epson EB-L25000U projector has garnered awards such as Good Design Award 2016 from the Japan Institute for Design Promotion and the Best New Rental / Staging Projector by rAVe Best of ISE 2016 Awards. For more information, visit www.epson.com.ph or their Facebook page at http://www.facebook.com/EpsonPhilippines.